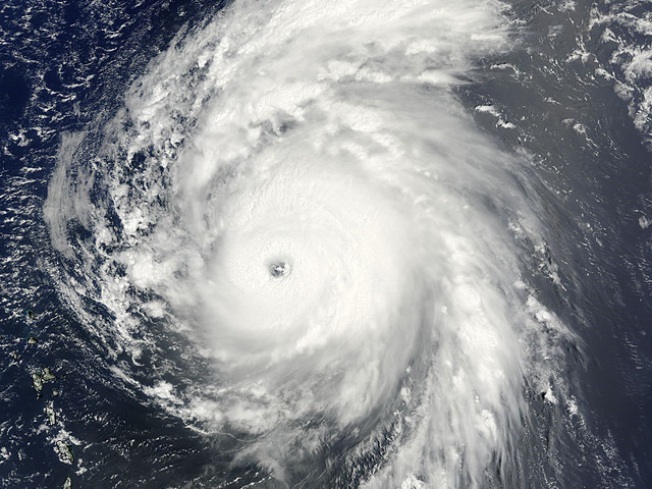 Hurricane Bill continues to speed toward the U.S.
Hurricane Bill is swirling through the Atlantic Ocean toward Massachusetts. Forecasters Saturday morning issued a tropical storm warning for the Massachusetts coastline in preparation for Hurricane Bill, which has reached winds of 105 mph and could hit the East Coast within the next day. Bill, a Category 2 hurricane, is heading toward the U.S. at 22 mph and is 575 miles south of Nantucket. Bill's center is set to whip this weekend through Bermuda, which is also under a tropical storm warning -- though its hurricane watch was discontinued. President Obama will spend the weekend at Martha's Vineyard with his family as he begins a week-long vacation on the coast.